I do think the Ionelus family has some kind of sigil, since their personal funds are most likely seperate. Just wanted to point out the Vallaki garda aren't typically trained professional soldiers for hire, but more like militia. So they don't wear any colours, that is just the colour of the undyed leather, but brown is as good a guess as any. Brown usually doesn't work too well for banners though, too muddy. But grey, white and blue would make sense. Also a historical note - Ionelus just lives in the citadel. It was built by the Tergs. as was Castle Ravenloft. 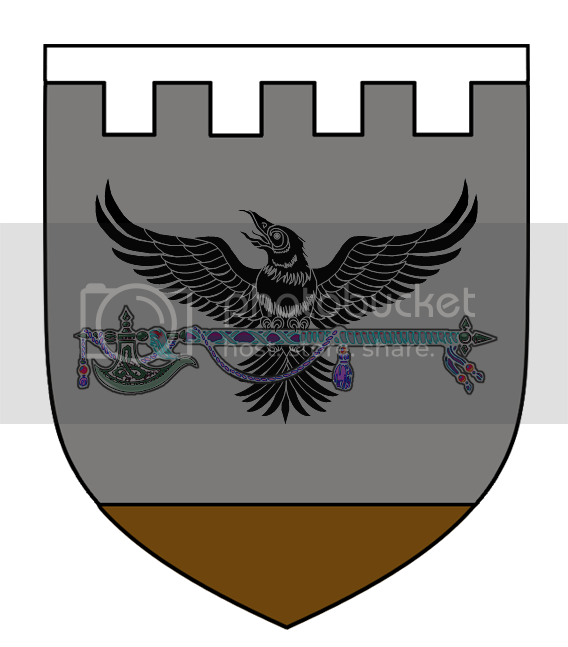 Two variations, one with the Raven holding the Halberd and one with it below. I would still ditch the brown part, it just isn't a great colour to use for a sigil. Other than that it looks good, possibly a bit too fancy with the jeweled halberd. I agree with the reply above though, I wouldn't give the Ionelus family a raven. The brown on those banners looks good, imho. It's more of a mottled gold than brown, which may represent the Ionelus even better. Considering they're trying to stake their own claim in Barovia, a bit of egotism would make sense. Zivon de'Scusa - The Core's best Doctor Doom cosplayer since 743.
it is true that most "old" families have a crest of some kind noble or not. so yea very fitting on the list H posted for folks to tinker on. Borca has a canon insignia, page 28 of Gazeteer 4. 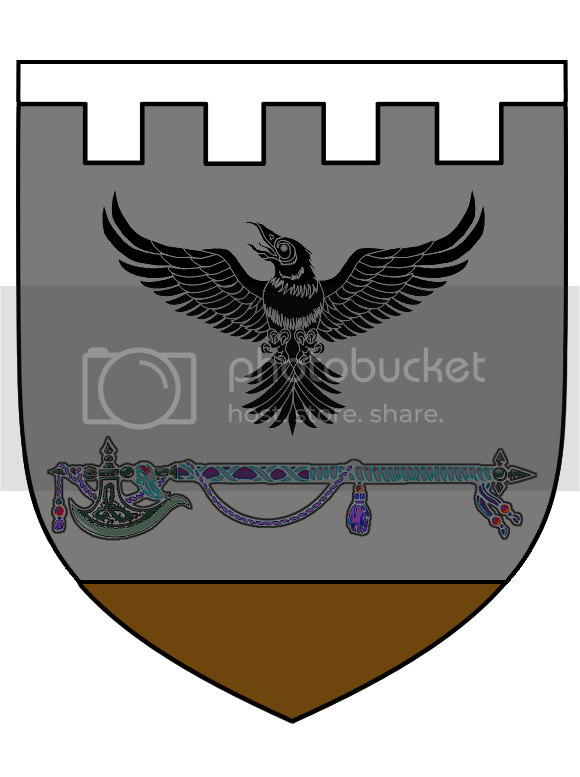 "The Borcan insignia depicts a black and silver serpent on a burgundy field, its coils severed into nine parts and flanked by nine silver stars. Officially, it symbolizes the nine original city-states of Borjia, though cynics muse that it now aptly represents the foundations of Borcan culture: Wine, wealth, and trechary."